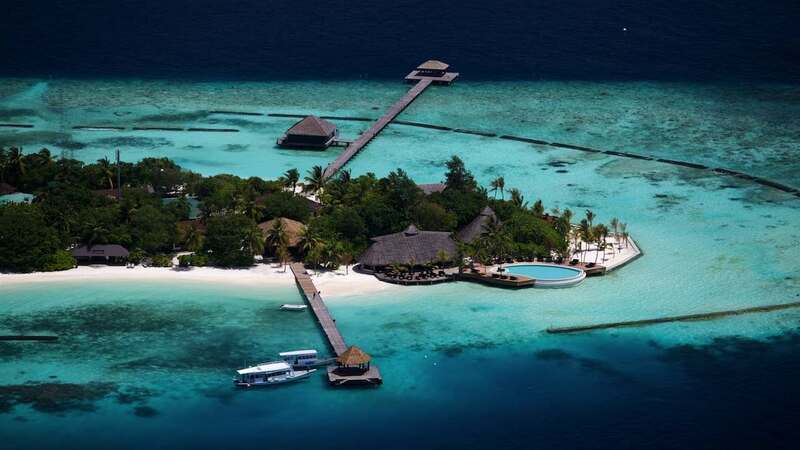 Discover sublime luxury in the haven of elegance that is Komandoo Island Resort, only 40 minutes away by sea plane from Malé. 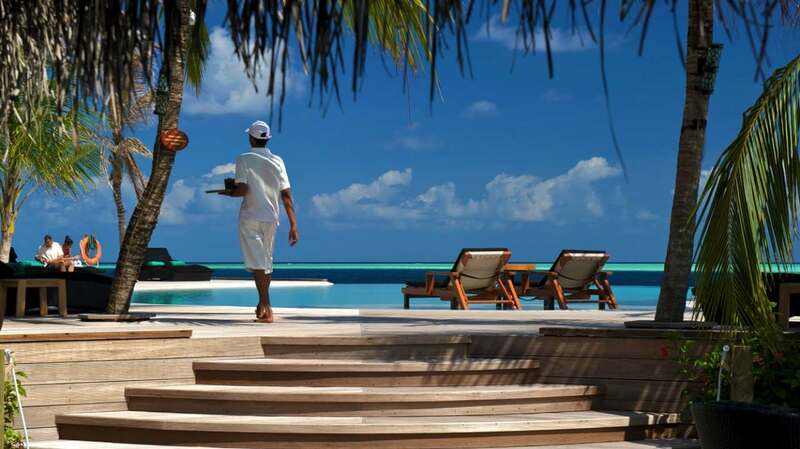 Being the only ‘adults only’ resort in Maldives, a holiday here will make for a completely serene experience… It’s impossible not to fall in love with this stunning island and its exceptional house reef, one of the best you will find in Maldives. 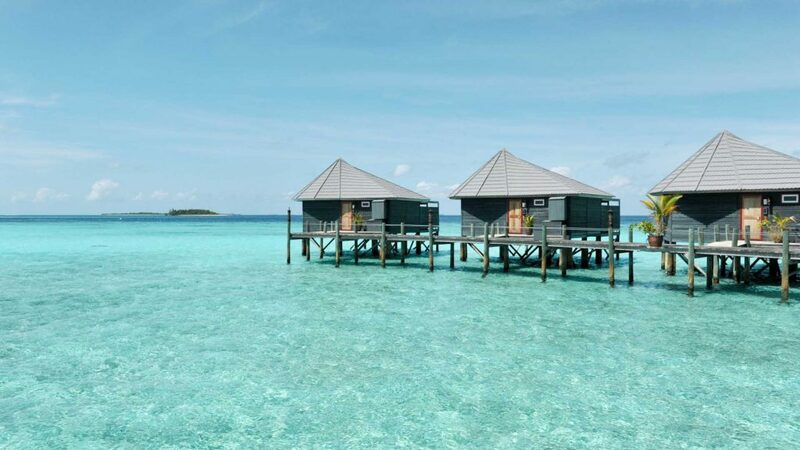 Island hopping to deserted islands, swimming in turquoise waters or simply enjoying the views of the marine life from your lavish villa – there is not one dull moment to be had at Komandoo Island Resort. Treat yourself to a relaxing hot stone massage in Duniye Spa, before making your way to an exquisite dinner with your loved one in front of the crystal clear lagoon. 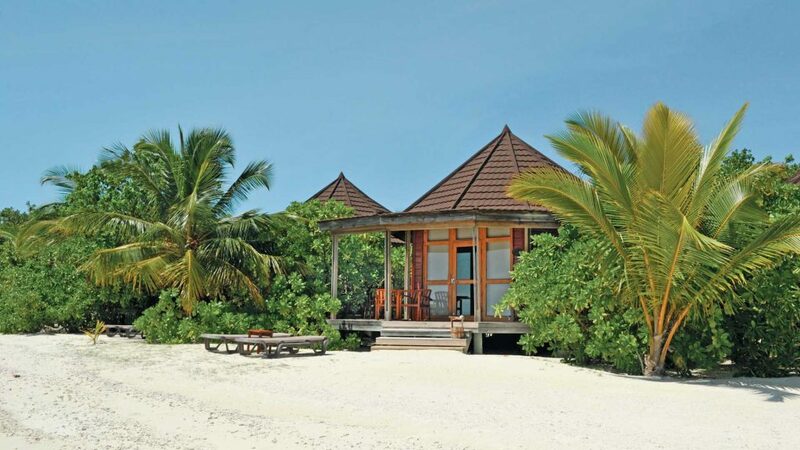 In order to stay connected, Simply Maldives Holidays offer complimentary Wi-Fi in the villa and around the resort to guests staying at Komandoo. 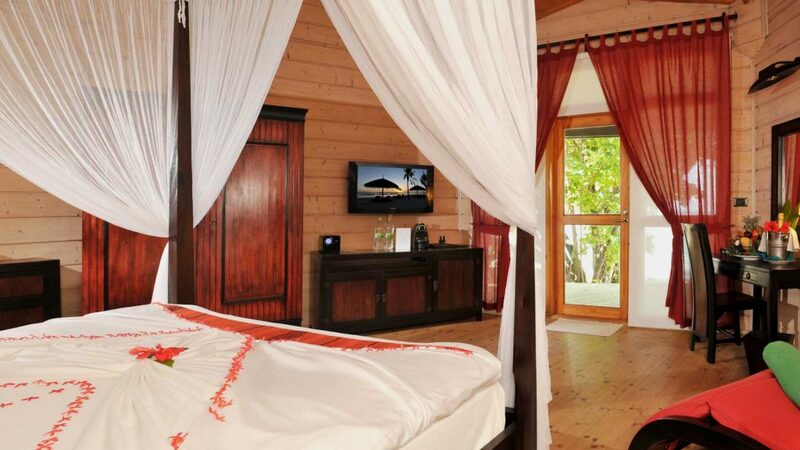 The Beach Villa (62 sqm) is located on the beautiful beach and is ideal for couples and families alike. 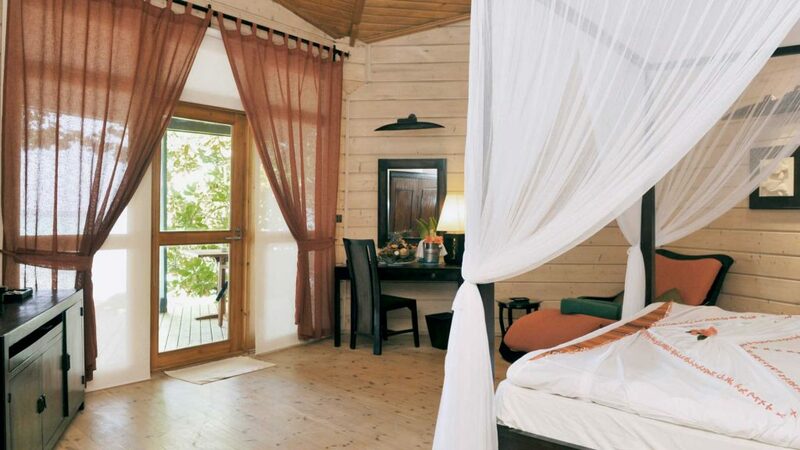 With sun loungers, an open-air bathroom and wooden veranda, you will enjoy being one with the surrounding tropical nature. 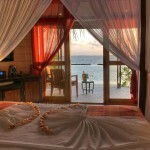 The Beach Villa includes ‘his and her’ basins and an amazing four poster bed. 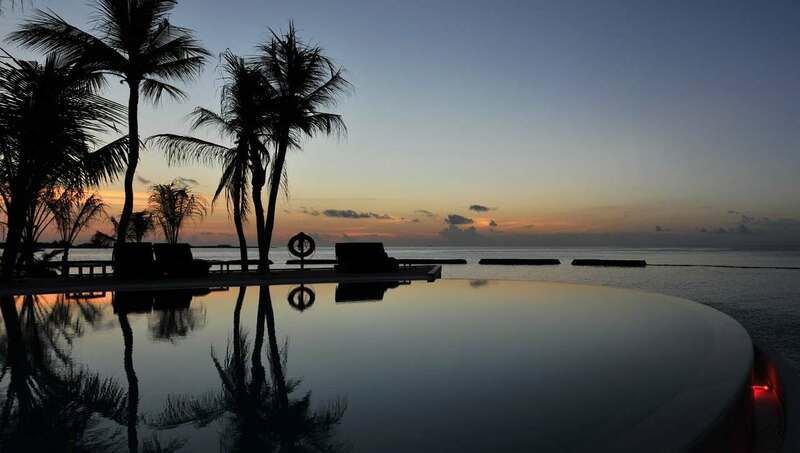 The Jacuzzi Beach Villas (76 sqm), located just a few steps from the lagoon, are exquisitely furnished and overlook the stunning waters of the Indian Ocean. 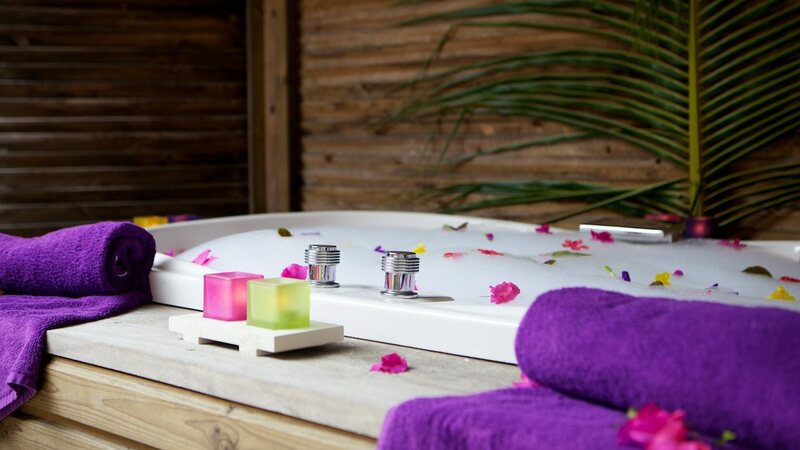 You will have your own Jacuzzi in the private outdoor patio, where you can welcome the evening with a glass of Champagne. 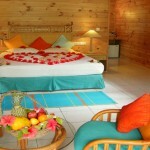 The Jacuzzi Beach Villa is a truly romantic accommodation. 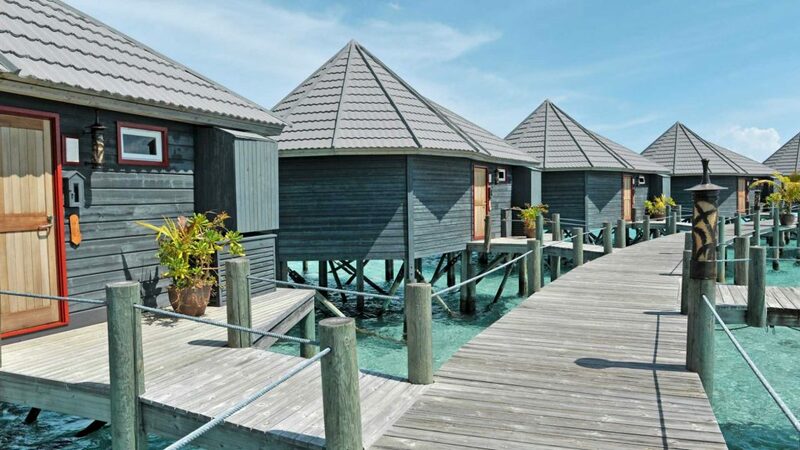 The Jacuzzi Water Villa (77 sqm) is stilted on poles over the turquoise lagoon, just off the picture perfect western shore. With rays, sharks, dolphins and sea turtles just feet away, the Jacuzzi Water Villas make for the ultimate Maldives holiday experience. This oasis is perfect to share with your loved one, as it includes a private Jacuzzi with ocean views and a spacious bedroom. 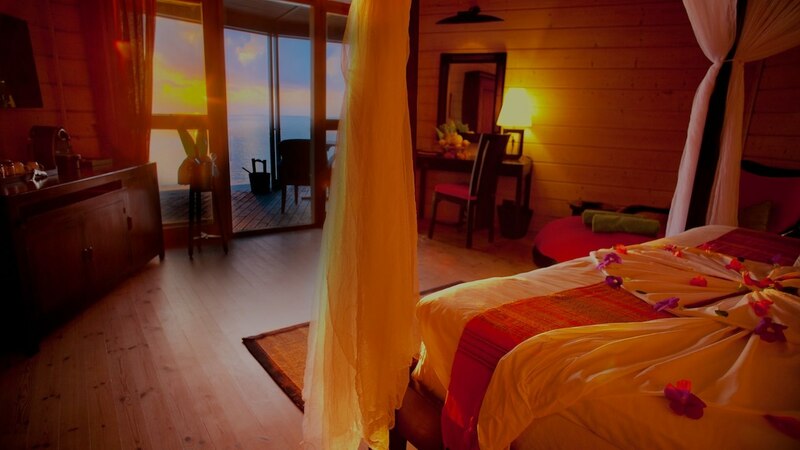 The Jacuzzi Water Villa simply exudes sheer beauty. 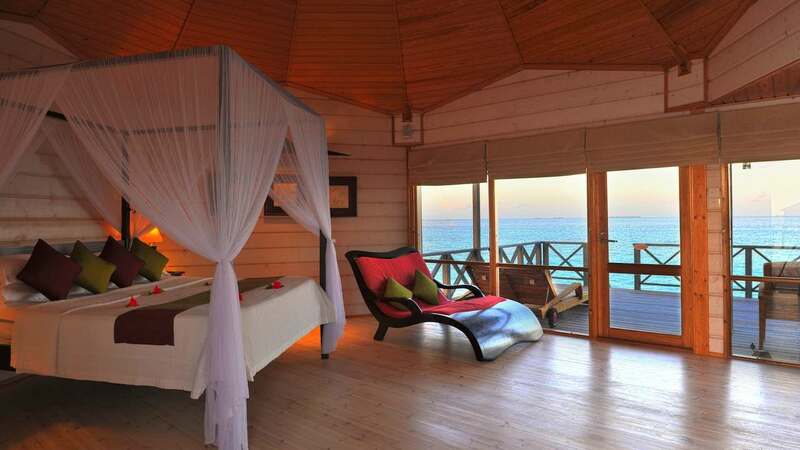 Komandoo Island Resort offers splendid facilities and stunning surroundings that only a traditional Maldivian island can offer. 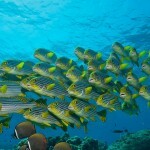 Whether you choose to go snorkeling in the first class house reef, go night fishing, learn to sail, take a boat trip, play volleyboll or try out windsurfing, your experience is guaranteed to take your breath away. But the beach is perhaps one of the biggest attractions. 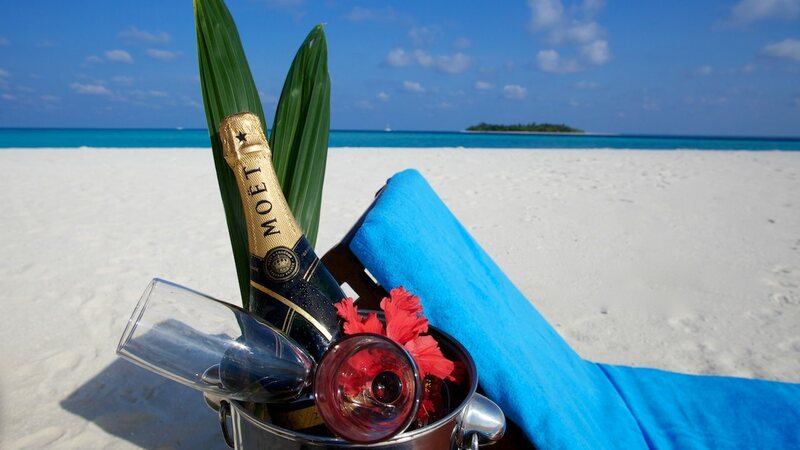 What could be more peaceful than letting the warm Maldives sun stroke your skin, whilst listening to the waves of the Indian Ocean lapping against the beach shore… You will also get the chance to let your hair down at the weekly disco at the resort. 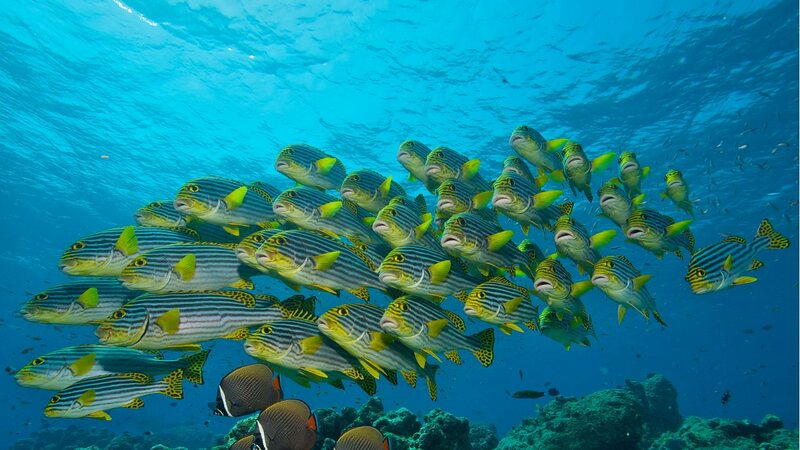 And as if the activities on the island itself are not enough, there are plenty of nearby deserted islands to explore. Duniye Spa is your chance to leave the rest of the world behind while focusing on your own wellbeing…The traditional Asian treatments are perfect for a tired body, so this is your time to re-charge your batteries completely under the care of professional spa therapists. 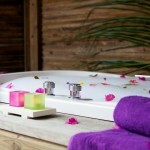 Why not try the Him and Her foot bath together with your loved one, or the exfoliating coffee-chocolate body mask? 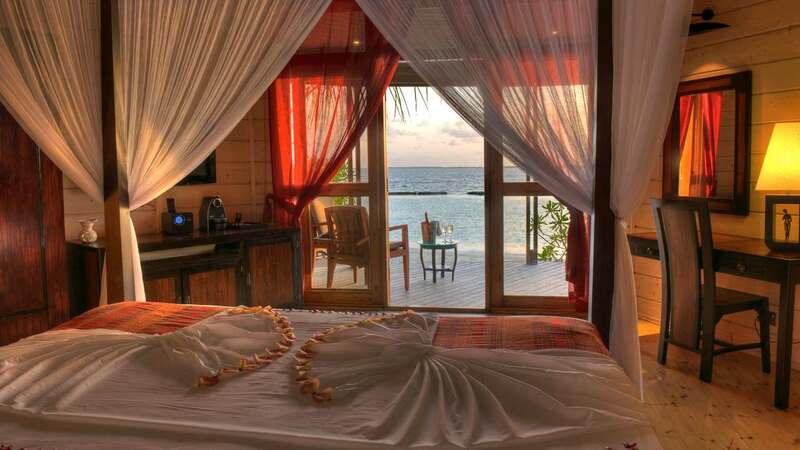 Komandoo Island Resort owes a large part of its brilliant reputation to its exquisite cuisine. 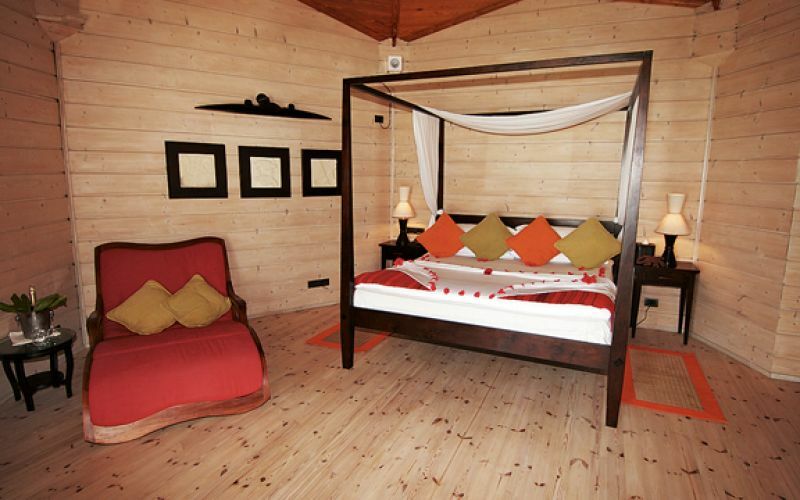 At this resort you will indulge in fine wines and delicious foods from all around the world. 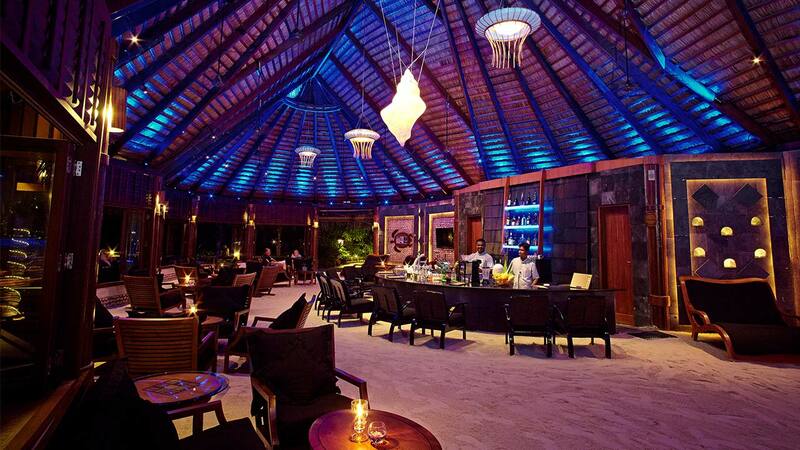 Falhu Restaurant is a real gem with its world class buffet and live cooking stations. 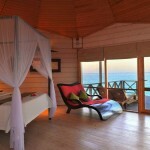 It’s located on the eastern tip of the island, right next to Duniye Spa. Sand between your toes or lagoon views from the outdoor deck? 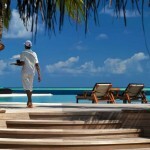 The decision is yours… Extraordinary service and innovative chefs make any meal at Falhu a memorable experience. Aqua is a treat for your taste buds. This a la carte restaurant is where you will enjoy delicacies from the Indian Ocean and discover fine dining as it should be. 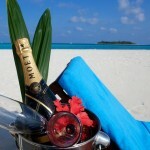 Overlooking the crystal clear lagoon, your meal is accompanied by the best views of the island. 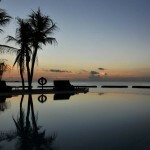 Kandu Bar is located right by the marvelous infinity pool. 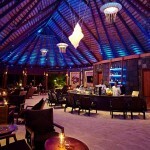 Lava stone lamps, lagoon views and live music make the perfect backdrop to your evening cocktail with your loved one. Just sit back and indulge in the peaceful atmosphere of Kandu Bar, before ordering something to eat from the inspired a la carte menu. 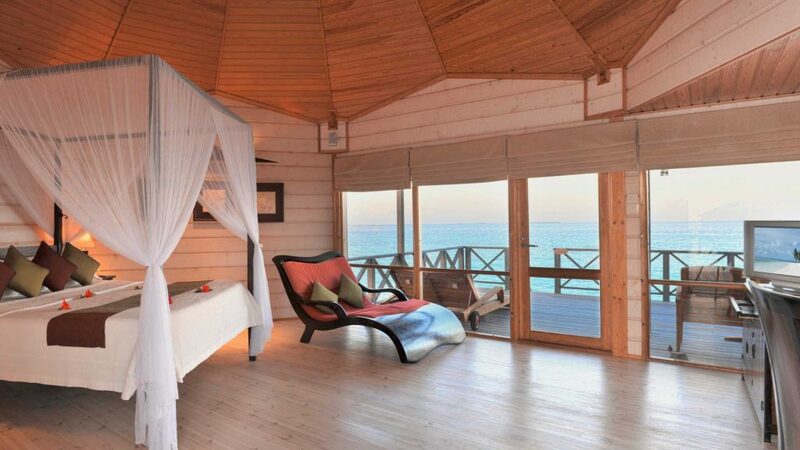 Simply Maldives Holidays offer Half Board, Full Board and All-Inclusive Packages for guests staying at Komandoo Island Resort.